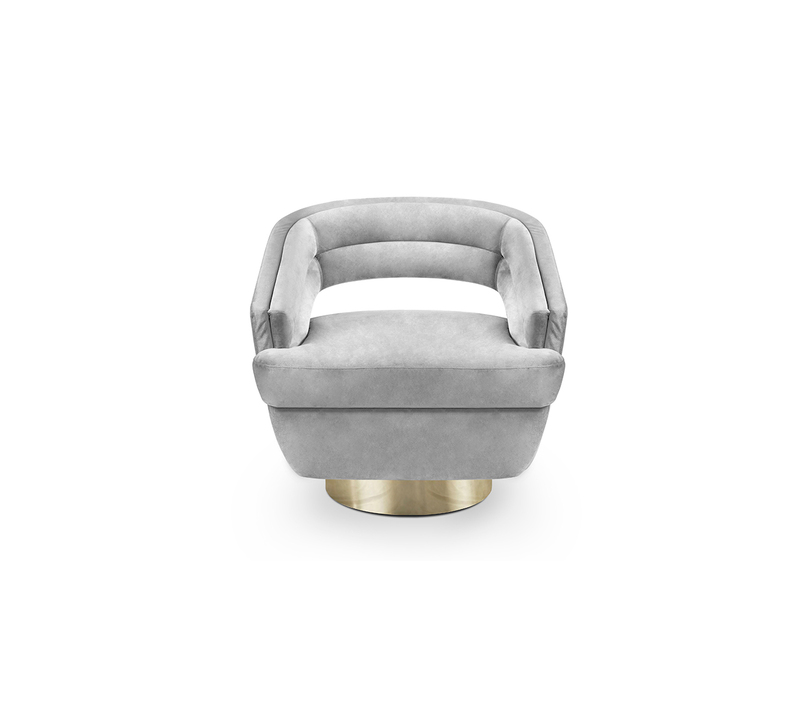 Like in one of the most enduring classic films, Russel Armchair tells a Hollywood story with the brilliance of the golden brass base and the timeless seductive velvet layered over a comfy foam frame. The base can spin 360 degrees, providing stress‐free movement to delve into the space around. 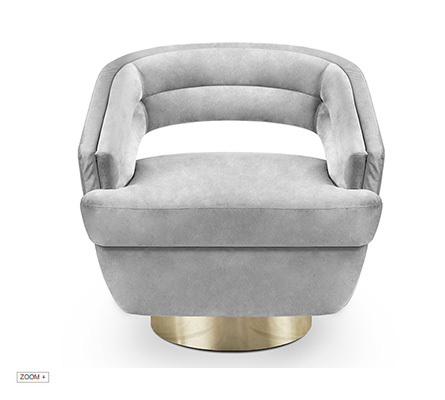 Adorn your living room with a sophisticated design piece that incorporates all of the mid‐century elements into a contemporary and sophisticated piece with a golden twist.